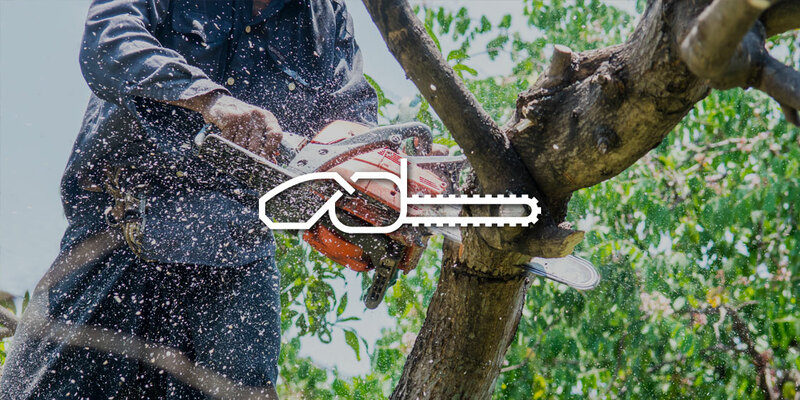 Whether you use wood on a regular basis for firewood, or you own land and have trees that need cutting, a chainsaw is the perfect tool. You can’t go wrong with a chainsaw when it comes to many wood-related tasks because they’re more efficient than an axe and more versatile than a log splitter. If you consistently cut wood, then you’re going to want a gas-powered chainsaw—and the best chainsaw is most definitely the Husqvarna 450 Rancher. Curious to know what benefit this particular chainsaw can give you? Keep reading this Husqvarna 450 chainsaw review to find out. There are a few reasons why you should consider Husqvarna over other yard tool companies. This Sweden-based firm is dedicated to providing yard tools, ranging from lawnmowers to chainsaws, that are of exceptional craftsmanship. The Husqvarna 450 rancher is no different. You’ll find that this chainsaw is one of the most powerful models on the market, with x-torque engine that allows you to cut even the largest chunks of wood like butter. While many electric chainsaw reviews will point out that gas products are bad for the environment, that’s not the case with this machine. As one of the most magnificent features of this unit, the engine delivers an astonishing 3.2 horsepower, while also limiting the amount of emissions it generates. This isn’t just good for the environment, it’s also good for your pocket since it means you waste less fuel. But given the fact that this is a made by a high-quality manufacturer, the perks don't stop there. The rancher is user-friendly, with features like a smart start and lightweight design, making it a great option for knocking out multiple jobs in a day. Don’t let the weight of this product fool you, however. It’s designed to tackle some pretty strenuous jobs like cutting trees 29 inches in diameter. Even better, you feel like you’re in control when using this saw, which is important for producing the results you want and staying safe. Of course, we live in a world where there are pluses and negatives to everything, and even the best chainsaw is susceptible to these polarities. · Occasionally, you’ll run into a few manufacturing problems, i.e. the machine not starting and problems with the carbonator that need professional servicing. However, Husqvarna will honor its 2-4 year warranty. · Given its size and powerful operation, this machine is priced at a very good deal (less than $400). · The lightweight design helps you exert more control over this saw. As you can see, despite its flaws, the pros really do outweigh the disadvantages of the Husqvarna 450 rancher. How many cords can the Husqvarna cut a year? Depending on how much wood you use on a regular basis, you may find yourself buying more than one cord of wood in a year. The great thing about this unit is that it can handle about 5 to 6 cords of wood a year (which is A TON of wood). Keep in mind however that this product isn’t meant for commercial use. In fact, overuse for business purposes (such as breaking down cords) can hasten the dulling of﻿﻿ the teet﻿﻿h and even wear out the engine. How does the smart start feature work? One of the great things about the Husqvarna 450 is that it comes with a smart start feature that makes starting the chainsaw a breeze. The smart start works as a release for the compression, which makes the engine’s turn over easier. A big part of this start has to do with the decompression valve, which reduces the pressure in the engine’s cylinder. You should always engage this valve before starting the chainsaw. 1. Step 1: Engage the chain brake by pushing the front hand guard into a forward position. 2. Step 2: Pull the choke control outwards, which will automatically flip the stop switch into the start position. 3. Step 3: press the air purge until it fills with oil. 5. Step 5: Firmly pull the starter handle in quick concession until the engine makes a partial start. 6. Step 6: push the choke control in and press the decompression valve again. 7. Step 7: Pull the starter handle again until the engine fires. To stop the engine, simply place the stop switch into the off position. It’s that simple! What is the gas to oil mix ratio? For oil to gas ratios, different manufacturers typically specify ratios that are particular to their machines. It’s really important that you adhere to these ratios. Even small imbalances can mess with the product’s functionality, and big mistakes can actually damage your engine. If you want your Husqvarna chainsaw to last for years to come, it’s essential that you stick to the ratio listed in your Husqvarna chainsaw 450 manual. For those who have yet to purchase the product, or want to prepare before the chainsaw arrives, this means you’ll need a fuel mixture that is 50:1. In other words, you must use 2.6 ounces of oil for every 1 gallon of gas. You can easily add this oil to your gas gallon and then store in a safe place for use. What type of gas and oil should I use? 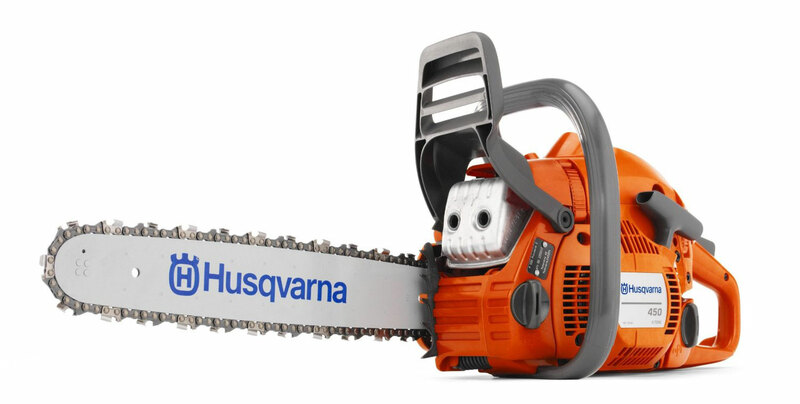 Most Husqvarna products, including this chainsaw, work on a mix of fuel and two-stroke oil. What that means is that you need unleaded gasoline (the better the quality that better your machine will run and the longer life span it will have) and two-stroke oil, which is specially crafted for two-stroke engines. When it comes to concocting your Husqvarna 450 rancher fuel mix, you’ll probably want to consider oil products designed by the manufacturer, since these are some of best qualities on the market. Additionally, they’re designed specifically to ensure the best performance of these products. Another thing, you want to use a fuel that is 89 octane or higher. However, you should never use two-stroke oil designed for fluid cooled engines (or outboard oil), since these have a slightly different makeup that oil indented for air-cooled engines. If you’re a loyal Husqvarna 450 user then you know that this machine is designed to handle some serious wear. By keeping up with the proper maintenance and necessary amount of care, you’re bound to have it for a long time. However, what this also means is that you'll probably go through a few chains during its lifespan. That's just the nature of owning a chainsaw—after some time the wood will eventually wear down the chain, and it will need replacement. That might sound like a lot of work. But the truth is that it’s very simple. All you need is bar chain oil, a grease gun, a new chain (fitted to the size of your machine), a screwdriver, and a socket. Before removing the chain on your machine, ensure you’re wearing the proper gear, including gloves and eye protection. 1. Loosen the bar bolt and adjustment screw. Loosen the adjustment screw located just under the bolt, which will then allow you to untighten the bar bolt until it comes off. 2. Remove the clutch cover. Remove the cover and gently slide the bar back, which will allow you to pull the chain off the bar. There’s no need to remove the bar completely. Then, lift the old chain off the bar and set aside. 3. Determine the right angle of the new chain. Pull out of the replacement chain and carefully examine. You want to ensure that the cutting edge of the teeth faces forward over the top of the bar. Make sure the notches in the chain are pointed forward. 4. Begin placing the chain. Start from the clutch located at the end of the bar and carefully set your chain around the clutch. Make sure that the chain is straight and that there are no knots or kinks anywhere. 5. Fit the chain into the bar. Loosely place the chain around the entire bar, and then pull the bar forward, which should add tension to the chain. Then fit the chain into the grooves on the bar. Note: be wary of not fitting the chain into the proper grooves and this can lead to potential injury during operation. 6. Replace the clutch cover. It’s essential to double check that the clutch cover fits snuggly over the end of the bar. Hand-tighten the bolt back on (do not over tighten) and tighten the tensioning screw to increase the chain tension. The tension should be just enough that you can’t pull the drive link out from the bar but still can turn the chain by hand. 7. Retighten the bar bolt. Use your socket to retighten the bar bolt. Once the bolt is tight, also tighten your adjustment screw again, just to ensure that the chain does not come loose. 8. Check your bar and chain oil. It's really important to make sure that you have plenty of bar and chain oil, especially after replacing the chain. Also, make sure to grease your bar using your grease gun. What Oil To Use on the Chain? Just like with the fuel mix, sometimes the best idea is to use the bar and chain oil developed by the manufacturer. Firstly, it keeps the Husqvarna 450 rancher parts in the proper working order. Especially when it comes to the bar and chain, the right oil will prolong the life, helping you to get the most out of your machine. Keeping your chainsaw well lubricated can prevent damage to your chain and make cutting so much easier. Ideally, when using your Husqvarna 450 rancher you should rely on Husqvarna premium bar and chain oil. This type of oil will reduce the amount of friction that your chain comes into contact with and inhibit the likelihood of throw-off. You want to guarantee that the warranty you pay for remains valid for as long as possible. Not using the recommended oil is one of those things that can easily void your warranty. Additionally, the oil designed by this manufacturer is specially designed to limit wear on your machine. That means that both your bar and chain will last longer by using this oil. Can you use the Husqvarna on animal carcass? It’s never a good idea to use any chainsaw on anything other than wood. A chainsaw is designed to work on wood. That means that the bar, chain, and even the engine are created with the pressures and cutting circumstances of wood in mind. Even dry, wood is not particularly brittle. On the other hand, animal bones—especially bones of dead animals are extremely brittle and if you’re not careful they can be sharp. Additionally, taking a chainsaw to a dead animal is bound to create a massive mess (take one out into your neighborhood after attempting a job like this and you’re neighbors will start asking lots of questions). If you work on a ranch or farm, simply call animal control to get rid of a dead animal. They can handle the problem with relative ease and are specialized in the proper removal (and disposal) of carcasses. When it comes down to it, the Husqvarna rancher can save you a lot of time and will last you for years. Once you try one of these Swedish manufactured machines, you won’t ever want to go back. And the best part about these tools is that they’re usually very affordable and ultra-powerful. 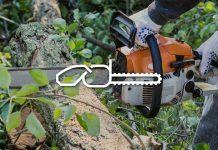 If you’re a homeowner that regularly cuts firewood or fell, limb, or prune trees then the Husqvarna 450 is definitely the chainsaw for you.